[All photographs copyright, Gary Nunn 2017] – I was just getting into my car at Fort Rosecrans National Cemetery about 8:30am this morning, to head downhill to the San Diego River flood control channel, when I heard an email ping on my phone. Quickly seeing it was an eBird alert I scanned down the alert and could hardly believe my eyes! 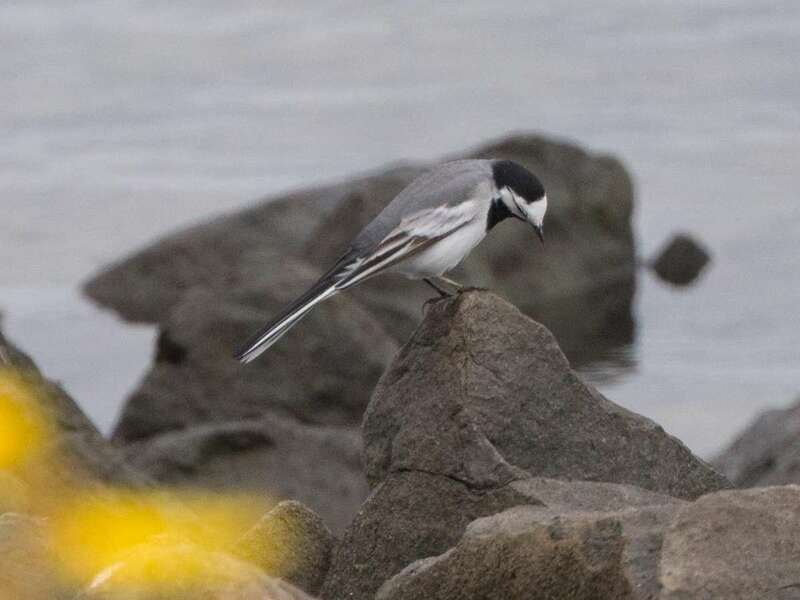 White Wagtail on the San Diego River! The report came from JoAnn Hackos a visiting birder from Colorado. The map marker put it right on the sandbar in the river channel. How was this possible? When I drove by there an hour-and-a-half ago the tide was pretty high and hardly a sandbar visible. 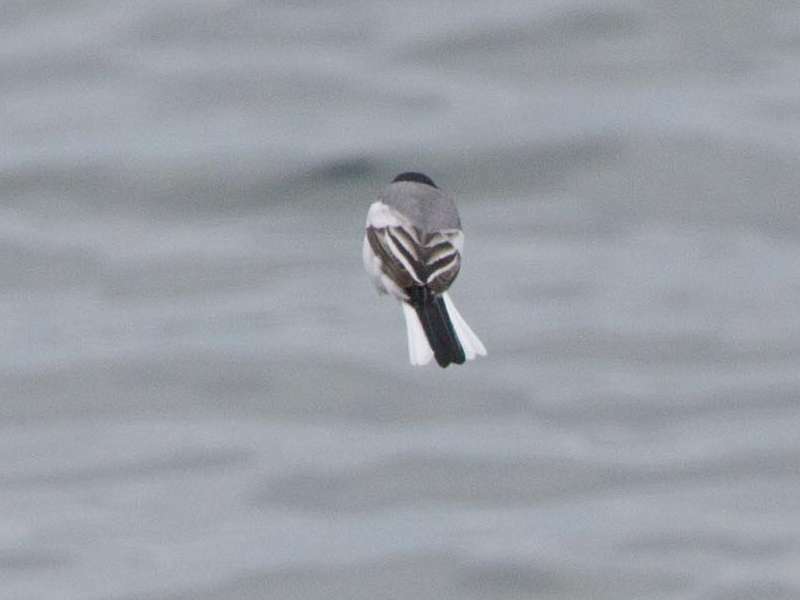 The description of the wagtail in the eBird alert sounded perfect so I raced down there as fast as I dare go. Running up on the bike path I looked at the small exposed sandbar which was no bigger than a tennis court and crowded with gulls and terns. I quickly started scanning and was shocked to find the wagtail, darting about in a gap among the seabirds, feeding on small flies. Wow! Wow! Wow! 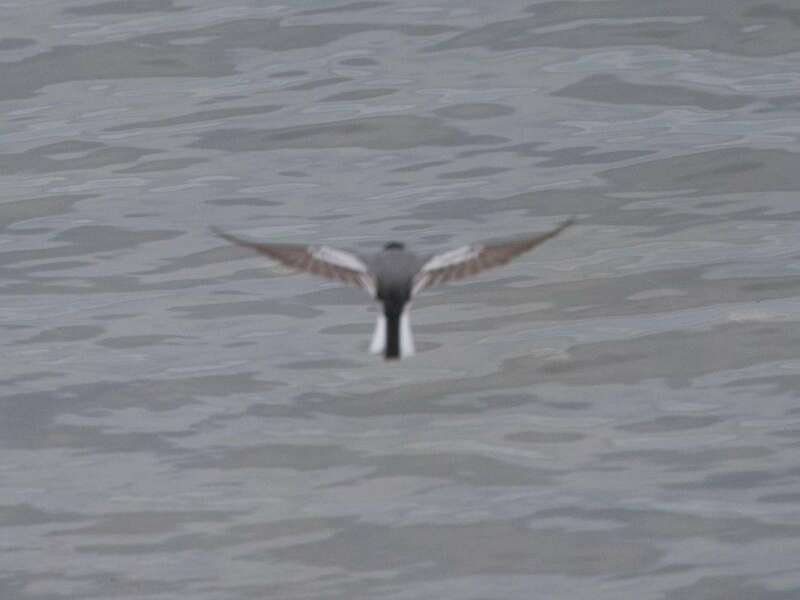 Fortunately the wagtail made a short flight to the rip-rap along the bank of the river channel, much closer, where I obtained the photographs below. 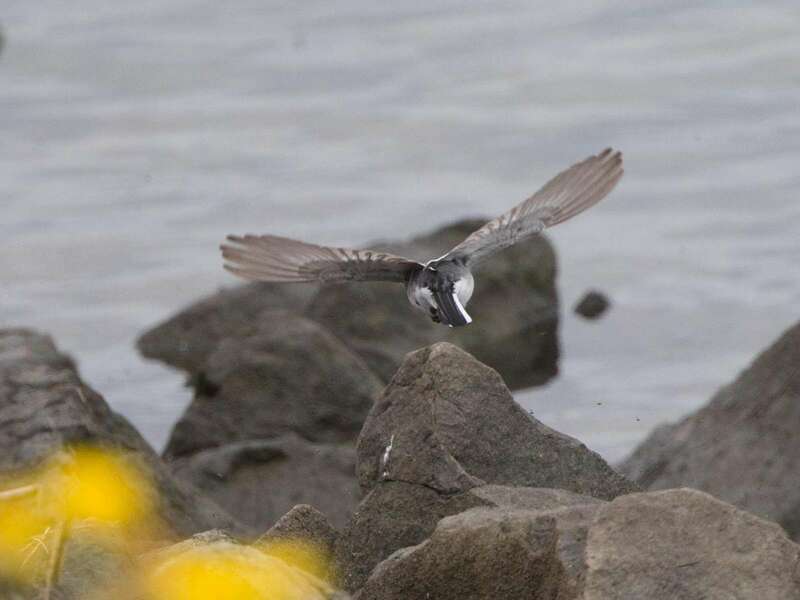 This appears to be a White Wagtail Motacilla alba of the northeast Siberian form ocularis with a fine dark eyestripe extending from the lores to the rear crown, solid gray back, absence of white on the flight feathers, and visible dark centers “shining” through on the greater coverts (also visible in my horrible blurry flight photograph below). 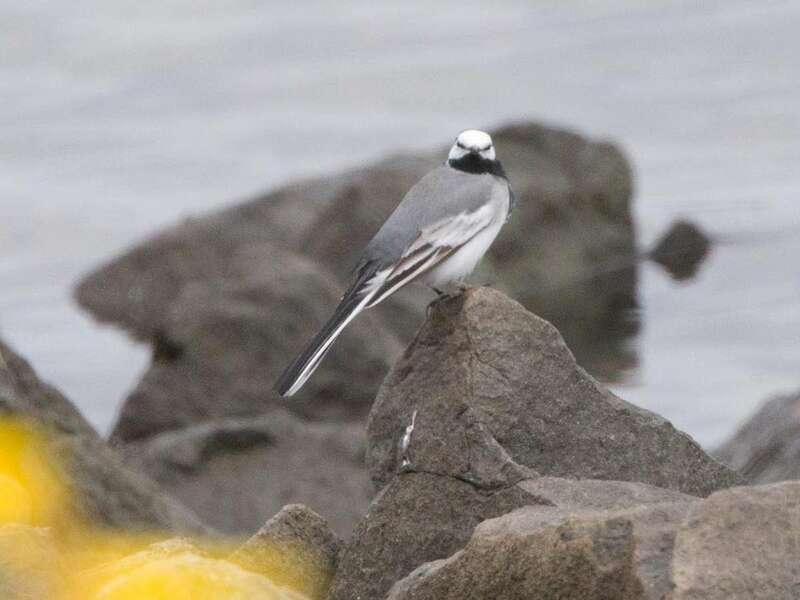 A second form, Motacilla alba lugens, known as the “Black-backed” Wagtail, has also been found in California and in fact San Diego County’s first White Wagtail, discovered and photographed by Matt Sadowski in February 2012, was this second form. 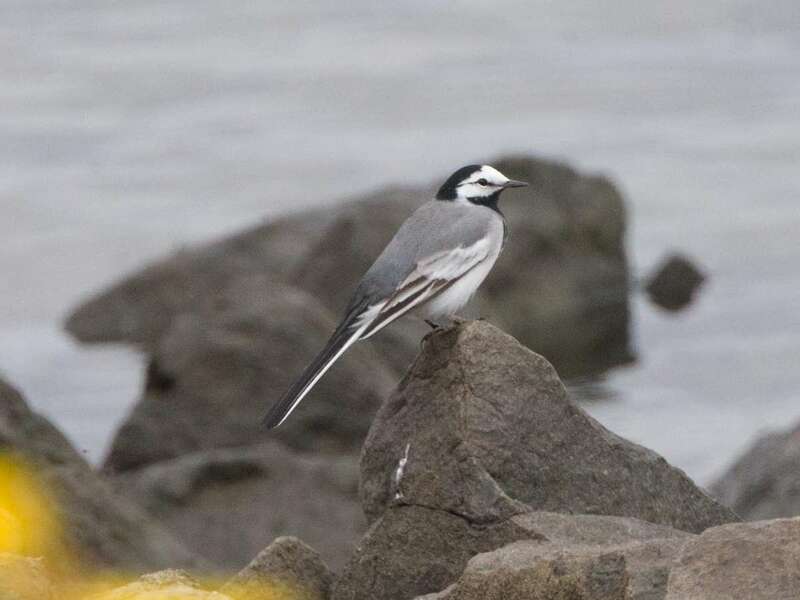 Matt quickly arrived today and can now boast of seeing both ocularis and lugens White Wagtails in the county! This bird appears from comparison of photographs to be possibly the same individual seen and photographed by a Camp Pendleton survey biologist in a restricted area a few days ago on 19 April 2017 in North San Diego County. 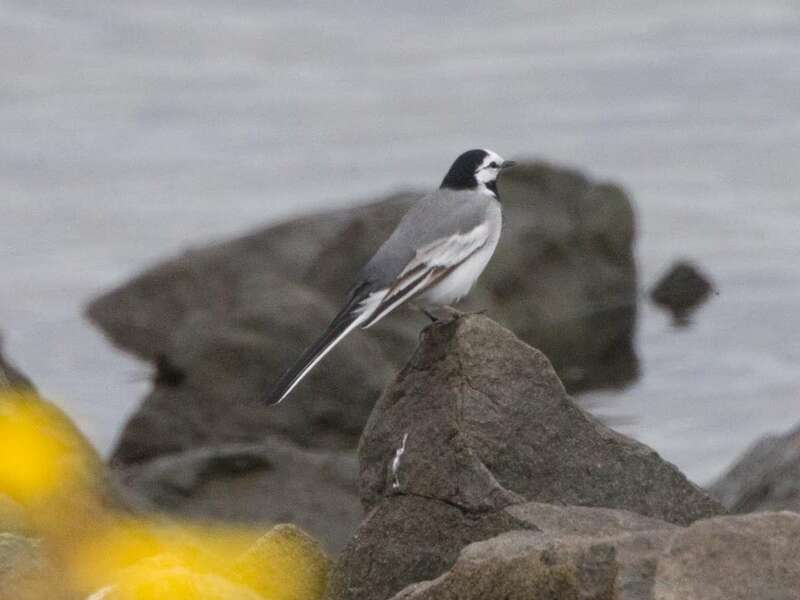 I was looking at the White Wagtail photos you have & the one i took last night as a side by side comparison. I may be wrong but these look like two Different birds? I posted on Ebird last night, my Name there is DAB DAB at 7:05 pm Which is when i saw it & not when i started to look i need to change the tIme . If you get a chance take a look & see for yourself.